World-renowned, critically lauded artist & sculptor Daryush Shokof, created the most valuable piece of artwork in the world: a sculpture worth four billion dollars literally. This amazing work of art consists of Four Billion Dollars (in U.S. dollars) balanced on the edge of a giant seesaw to be unveiled in front of the New York Stock Exchange in late 2019. Daryush’s artistic career spans over 35 years. His work with “balance” concepts began both as a series of paintings and sculptures. He will auction off the $4 billion sculpture with plans to donate proceeds to help starving children, and political prisoners . . . more. Daryush’s artistic career spans over 35 years. His work with “balance” concepts began both as a series of paintings and sculptures. He will auction off the $4 billion sculpture with plans to donate proceeds to help starving children, and political prisoners. Daryush says, “I want to dedicate as much of this money as possible to the wellness of Earth and all who live in it,” he humbly explained. This is what I came to Earth to do, and I am blessed to be able to do this through the arts. From the day of the ART4+ auction onwards, the world will look at artists & what they can do for creation, life and Earth in a different way,” he said. Are you ready for an open discussion with the best of the best and the best of what’s next? Welcome to the Tony DUrso Show, join in on a great conversation today with some of the world’s great influencers as they showcase great advice and techniques that made them the game changers they are today. Now here’s Tony Durso. Welcome. I’m your host Tony DUrso I interview some of the top entrepreneurs in the world and I thank you for joining us. I broadcast every Friday at 2PM Pacific on Voice America Influencer’s Channel and you can listen to all of our shows on your android or apple device. Go to tonyd u r s o.com/mobile and get the APP, tonydurso.com/mobile. Before we get going, here’s a big thank you to some amazing sponsors of our show. Please stay tuned for an important message from FreshBooks about great invoice and accounting software for your small business and listen for an important message from BetterHelp about getting private assistance in areas such as depression, stress, anxiety, anger conflicts, and more. More Info on them. Just head. So please stay tuned. Today shows with Daryush Shokof, $4 billion sculpture. Here’s some info on Daryrush: world-renowned, critically lauded artists and sculpture, Daryush Shokof created the most valuable piece of artwork in the world, a sculpture worth $4 billion literally. This amazing work of art consists of $4 billion in US dollars balanced on the edge of four see-saws to be unveiled in front of the New York Stock Exchange in late 2019 a $4 billion art piece. Check this out, welcome to the show Daryush. I am so honored to interview such a prestigious artist, sculptor, and filmmaker. The honor again, is mind, Daryush, and there’s so much to talk about. I mean, you have some art sculptures worth $4 billion. That’s insane and I’m going to talk about that. But first things first, I love to know. We all want to know how did it all start for you? What’s your backstory? I was born in Tehran, Iran. I’m sorry, that makes me Iranian. Grew up in the states and then started with film and Arts about 35 years ago. Ended up in Europe basically and mostly in Germany and Italy. And ever since 35 years ago I’ve been creating art. And then again back into states in New York City, introduced Maximalism. What was the thoughts specific certain thought in reference to the arts, which I somehow founded and now enjoys many great, wonderful global artists who do create art, works on the Maximalism? So I am in Maximalist and now I am at your service. As an artist who did this sculpture called Art4+. It’s very interesting, I’m not very familiar with Maximalism.I’m going to have to look that up or actually, could you give us perhaps a simple sentence or so of what, what does that mean? Well, what it is not is probably more important so that people don’t misunderstand. It has nothing against Minimalism. And we all know what Minimalism is. Maximalism is more figurative. It’s more politically aware, awake. It has an exotic touch to it. It has lots of humor and boundless visions. So a Maximalist would not be an Abstractionist Jackson Pollock or a Cubist, like the great Picasso, would not just do this or just do that. A maximalist artist is more open to whatever comes to her or his mind and creates the work of art. And hopefully at the end of the day has also a signature that stamps how that our board could be recognized. And that’s how we get into an art worth $4 billion because it’s just, it’s just the sky’s the limit right anything goes. Yeah that Art4+, it’s Art4+ because it starts at $4 billion US dollars. Realistically speaking, would you like to know about it? I would like to know more. I have some questions on that, but right before, I would love to discuss and introduce the audience to perhaps some of your more well-known films and projects. Just to kind of get a lay of the land here a little bit more. Okay, fine. Would you like for me to? I’m absolutely perhaps the most famous director in the world who no one has ever seen a film from that is me. I liked that, that’s excellent. No one had never heard of me. I’ve never had a film that was released in the theaters. I started my film career with first feature film I was blessed and honored to have the legendary, great Anthony Quinn playing the leading role in his last show as a leading character. The film was Seven Servants. It was picked up by prestigious, festivals worldwide, but unfortunately, it never got into the theaters because of lots of issues involved. And then ever since saw made about 17 features and about maybe 30, 32 short films. And they usually landed in festivals and again not theatrically released. Ever since this Art4+ concept came in. I stopped doing films for the last four years and the next project that I would be working on that would be right from the start made for the public release for audiences. And finally, one of my films would come to the theater, I hope. And that is called, that film is called Godhatton. Godhatton is a word that I founded or I created it’s, you know, we all know what Manhattan is and we keep saying that this, this word Manhattan is created, it comes from American Indians, which I think it is not, I think it is a combination of some gibberish words called man-hat-get-an which in German it means something that has been made by men. It’s not from the Indians. No, no, I think…I think and Godhattan is something that has been made by God. And that film is the film that we are going now to finally after 30 years of filmmaking bring to the theaters and it’s a big thing and we’ll see how it works. Well, I look forward to having an interview on that one that’s ready and I look forward to that coming out. Very cool and also just for introducing on art projects, introducing that to our audience. I know you did one particular very well known art project where you sat on a seesaw for a week. That’s probably a bad description. Perhaps you could tell us the whole story. I actually very, very important that you brought this up because the Art4+ is a result of that piece that you just talked about. That was like about 30 years ago or so, that what was when the war with Iraq started. When that war has begun and I had an installation, I had a balance built out of wood, huge thing. And I was sitting on one side of this balance and on the other side, there were elements racked up, piled up on one another. We started with I think industry, then money, then politics, and at the end resulted in war. And that little one person on the other side was heavier than all of that big, big, huge powers on the other side. Something very similar to what I, what I’m presenting now with Art4+ but that one was about a week in front of one of the biggest churches in the whole world, which is in Cologne, Germany. And yeah, I sat there for a whole week and it was really something, people would come and ask and all of that. But it did have a message: that one little person can be symbolically speaking, heavier in weight and perhaps also in worth more than all of that gold and power and politics and the industries and on the other side, that was the concept behind that part. Exactly what it was, right. Institutions or whatnot, I liked it. Well, that’s great that’s a great segway into this art. And now, okay, wait a second. Let me get this understood Daryush you have some art sculptures that are worth $4 billion right now am I getting this right? There are four sculptures. There are four seesaws. These four seesaws each one of them is about nine meters long built from steel each one weighs over two tons, 2000 kilos. And that whole thing is one artwork. Those four seesaws are one artwork, one conceptual artwork on the title Art4+. On one side of each one of these seesaws, there’s a platform of two meters square. And on each one of those platforms, we got $1 billion cash in the form of a pyramid. On the other side, there are small elements that no one knows what these four different elements are. These small elements that could be as big as, well, one of them are maybe not even as big as a donut. Daryush let me ask you, okay, $1 billion, a billion American dollars is sitting 1 billion on each of four pieces on a sculptor? You heard it, right? That’s exactly the point. So the question is, Daryush that begs the question, what does $1 billion weigh, I know I can Google it right now, but perhaps you know what does that weigh? A billion dollars in cash- cash? Yeah, in cash- cash. That’s what makes this thing so extraordinary. But in the art scene at least it has created hype. A lot of people are asking, what this whole thing is about and if the money is real? Where does the money come from? And all those other questions that are usually linked to them to a, a phenomenal thing like this. And yes, it is true on each side of these four seesaws which as a whole is presenting only one conceptual artwork sits 1 billion US dollars and on the other side, four different elements, very small. And each one of those elements is heavier, both in value and in value as a character. And also financially speaking, it would be more worth than the billion dollars on the other side. This is the Tony DUrso Show. Just the had the check continues with Daryrush $4 billion sculpture. But first, it’s time for us to take a short break. See you back here in just a moment. This is the Voice America Influencers Channels; Be inspired. Do you remember when you started your small business? It was no small feat. It took a lot of late nights, early mornings and the occasional all-nighter. Bottom line. You’ve been insanely busy ever since. So why not make things a little easier? Well, our friends at FreshBooks have the solution. Fresh books, invoicing and accounting software is designed specifically for small business owners. It’s simple, intuitive and keeps you way more organized. Than a dusty shoebox tilt with crumpled receipts. Create and send professional looking invoices in 30 seconds and then get them paid two times faster with automated online payment. File expenses even quicker and keep them perfectly organized for tax time. And the best part, FreshBooks grows alongside your business. So you’ll always have the tools you need when you need them without ever having to learn the ins and outs of accounting. Join the 24 million people who’ve used FreshBooks. Try It free for 30 days, no catch and no credit card required. Go to freshbooks.com/tony and enter Tony DUrso in the how did you hear about us section to get started? That’s freshbooks.com/tony and enter Tony DUrso. All right, we’re back on the Tony DUrso Show. Today’s show is with Daryush Shokof, $4 Billion sculpture, Daryush’s artistic career spans over 35 years. His work with “Balance” concepts began both as a series of paintings and sculptures. He is actioning the $4 billion sculpture with plans to donate proceeds to help starving children, and political prisoners. All right, and now back to the chat with Daryush. You don’t know the stories that I had to live with it. It’s now the fourth actually. The number four is something that it really is amazing. I was born on the fourth of the month and the month that I was born in was the fourth of the month at four o’clock in the afternoon. And then the hospital, my mother had to go to, to give birth to my presence, brought me into this world was also called the 4th of June. Well, I was born on the 25th of June but in Iran, anyway, it’s all four. And now this thing came about and yes, four elements, $4 billion. The four for 4 billion is because of the numbers. Is this numerology type of thing that four is like your lucky number? No, no, no not really. You just had that would just explain it. I don’t really know why that, what this thing happened, but it number four played a tremendous role in my life has always did and as always done. And now this thing came about. And as I was saying, uh, even though we don’t know what the other four elements or on the other side of the seesaw. This is probably the most important part about this artwork is that it leaves no time to speculate, it leaves nothing to speculation. It says I am $4 billion worth it. It leaves no doubt in no one’s mind that my name is… As an artwork a painting by Picasso or am I painting by Leonardo or Piet or whoever. And some rich king or some rich collector buys me for $200 million. I am worth $4 billion because there’s $4 billion cash on those platforms. And if you want to have me on that auction, you have to start with $4 billion. No speculations, no politics involved, no behind the curtains deals. This is what it is for the first time a piece of artwork speaks for itself. You, and I know if you have a painting by I don’t know let’s say Picasso or a sculpture by Giacomelli and you walk on the streets. So anywhere in the world even New York City, you have one of those things and you walk around and try to get a piece of donut from anyone if they’re not from the art scene that won’t, that won’t give you a dollar. Buy the same thing in a certain scene, certain organization, certain institutes in the world withdraw over. God knows how much, $200 million, but this is the first and maybe perhaps the only work of art that has that value. And it says, I deserve it because as you can see, there’s all that cash on it and you’ve got to start with four. The speculation is that we might have it sold because of many, many issues involved it might even go up to $8 billion US dollars on that day of the auction in New York City, we will see. I am absolutely impressed. This is, of course, got to be the most expensive, the most valuable art piece, sculpture in the world. Let’s talk, more about this. You said there’s going to be an auction. Okay. Where’s the auction, please? Right, at the moment that the two of us are talking to the auction is planned to be at the prestigious one of my most favorite buildings in New York City called American Stock Exchange Building in New York City and that would be in October, November. I cannot give the exact date right now, but it would be published within two months from this day as we speak. It would be out publicly in April. So everyone would know when the day of the auction would be. That’s amazing. You’re going to do this at one of the most prestigious buildings and institutions in the world that you’re going to do this at the New York Stock Exchange itself. I am honored. Yes, I am honored. I love the people. I love the management who is putting this together. Solomon Langer is my associate, wonderful person, just a blessing. Why do I deserve all of this? I don’t know it, but I hope I’m good enough to just give it all as much as I could back to society for the reasons that I’m doing this whole thing. And I hope that I live to see it. Amazing. And I have so many questions still about this. Now at the auction, you’re going to have of course a charity dinner where people are going to come. Is it at that charity dinner that it’s going to be a silent auction or can you describe the process a little more? Of course Tony, we’ll start the auction, the hammer starts rounding 12 o’clock one o’clock in the afternoon. I can’t give out the name of the person who’s going to do with one of the stars at the, of the art scene. AndI let that to be promulgated, I guess publicized within, 20/25 days. But yes, it was started by 12 to one o’clock, and then it will end around two, two 30 in the afternoon. The auction is gone, your auction is complete over then we’ll have a break. And then at night, we’ll have maximum, not more than 600 guests who would be picked out from a long list of people for a dinner, charity dinner with $25,000 minimum for each plate. And or it could be more, but it cannot be less. And the money that we would receive from the charity alone, I will dedicate almost after the costs deducted about 85% of it to the kids in New York City, to making the streets and sidewalks in the city as clean as we can. That is absolutely impressive. You know, I’ve run several events locally in my town personally for the homeless and to feed them and take care of them. So I totally understand I sympathize completely with that and what a noble cause I absolutely love it. That kind of money that you mentioned can go a very, very long way to helping clean up the streets and helping the homeless. Hats off to you on that. I bow on that is absolutely amazing. Thank you, Tony, I guess this is really in my opinion, this is what, what makes an artwork important at all and if at all makes a human being an artist or makes an artist, a human being. I love it. In terms of the charity dinner and who’s there, you say you’re going to have 600 guests you’re going to pick. Is there any particular guest that you can mention now or is that all to be released later on when you make the public announcement? To be released later on. But I could tell you that it would be from amongst politicians, some artists, some of the elite people who do support arts and cultures and values as such in the industry. And also some of the figures in the global Internet and a digital world and some specific scene that has to do also with entertainment. I liked that. I liked that a lot. It’s going to be the cliche, a star-studded event. Oh, I yes, fortunate really has nothing to do, it doesn’t necessarily have to be the star or that. These people need to be definitely supporters of such events that, I don’t know how else I could explain it. It doesn’t necessarily have to be the billionaire that that just has lots of mansions and lots of ships and these and that or the arms dealer who’s got a hold lot… It’s got to be a person who does have an affinity and support such events, you know the logo for the Art4+ is just one sentence ‘For the oneness of planet earth and all those who live in it.’ So if you are thinking about the same line of acting, or if you have the same mentality, you are most welcome to be there. Amazing! This is the Tony DUrso show, just ahead the chat continues with Daryrush, $4 billion sculpture. But first, it’s time for us to take a short break. See you back here in just a moment. Change starts here; Change starts. Join us; The Voice America Influencer’s Channel. I’ve helped a lot of people in the past with a variety of life and business issues. I understand how you feel. That’s why I believe BetterHelp online counseling can give you the assistance you want. BetterHelp offers licensed professional counselors or specialized in issues such as depression, stress, anxiety, relationships, trauma, anger, family conflicts dot, dot, dot. You get the picture. Connect with your professional counselor in a safe and private online environment. Everything you share is confidential and it’s so convenient. Get help at your own time and at your own pace. You can schedule secure videos, phone sessions plus chat and text. Best of all, it’s a truly affordable option. And for the Tony DUrso Show listeners, get 10% off your first month with a discount code, Tony. So why not get started today? Go to betterhelp.com/tony. Start by simply filling out a questionnaire to help assess your needs and get matched with a counselor you’ll love, betterhelp.com/tony give it a try and get some better help. Won’t you? That’s betterhelp.com/tony for 10% off your first month. Here’s the story. Be motivated, Be inspired. Join us today. Voice America Influencers. You are listening to the Tony Durso with key influencers. We’d love to hear from you via email. Be sure to send questions and comments to Tony at tonydurso.com. Now back to Tony and his guest. Oh yes, yes. One major, one huge one is one of the most wonderful artists, but I can’t mention the name right now. Yes, there would be a superstar who has already honored us to be there and perform that night. She would be good. I got that thank you. Thank you for releasing. Now the sculpture itself is worth intrinsically at least 4 billion because of $4 billion cash on each of the four seesaws. And you believe that the final amount can be as much as $8 billion. So now that begs the question, you’ve got $8 billion now Daryush what are you going to do with that? I got only four because the four sits there. The other four sits there and would go to whoever it is that buys it at the end of the day. And, we hope that it would be as a city more than, um, and individual conditions are set forth in a way. If let’s say if Paris, which is my second favorite city on earth, and they were the first people who want it to have it. If Paris takes it in and they have it in Paris and then they will have tickets sold and all of that. But what I do with the 4 billion, I again I would contribute at least up to about 85% to the same causes that I just mentioned to you. But most importantly, it will go for making sure what we can do with that money. I don’t know, I mean we could have endless money for the causes that I’m about to mention and would still need more to do good. We need to have clean, cleaner cities. The cleaner situations for everyone to live in. I think we need to have the most essential elements that are connected to a healthy life for everyone. Water, air, whatever. I don’t have to speak about cliches that we all know now oceans, cleaning, this, cleaning that and all of that. But I will give as much as I could, firstly, again for unfortunate children are on the face of this planet, they come from war-torn countries. We’ll do whatever we can do for them. We’ll do whatever we could do for again, cleaning the mess all around the cities. We have as much as we can, one of the most important issues that always touches my heart. And now maybe I could do something about it is the issue of political prisoners all over the world. And that is something that really hurts all of us. Many of us, day and night, the most specifically in my own country where I was born in Iran, where we have, unfortunately, unfortunately, one the worst situations for the political prisoners ever. And I like to have some money dedicated to the lawyers worldwide that could get these people out of the prison. Or maybe we would be lucky enough to have this whole regime overthrown before anything can happen. And then we don’t even have to have one political prisoner. It’s just one of the most terrible things that a person can go through. And it doesn’t, stay with one country. We know how many countries around the world. I mean, the governments around the world are the exercising such horrendous activities against their own people. I love to see that happen. I stressed the fact, again, always about the children because again, a cliche, but it is just the way it is. There are so many of them that truly as we speak right now are going through terrible, terrible situations because of the wars. We have all of the world, most specifically in the Middle East. So I like to help as much as I could to bring about a healthier, healthier, more humane atmospheres for these wonderful kids to be able to do their best. Worthy causes indeed. And I understand you’re nominated as the independent presidential candidate for free Iran is that so? Yes, yes, of course. I formed a movement that is called the root Iranians are not, or they were not, there, we’re not off Arabic descent and ever since Islam took over Iran around 2,400 years ago. The Salaam, which I love, I love Arabic culture. I love everything about them, but I don’t want anyone from anywhere in the world to forcefully exert regulations and laws upon either myself or my people, my country. And I think that that is just something normal for everyone, every freedom loving person on the face of this planet. And ever since Islam took over Iran, every Iranian had to say Salaam instead of saying, Dorood, Dorood is the word that we have in Persian language and Iranian old …you know, Iran is arguably the oldest civilization on planet earth. So Iranians have been that 3000 years, 4,000 years before Islam ever came about. They had their own, their own religion, very peaceful religion. And anyway, I’ll make it short. So Dorood is the name of this movement, Dorood Movement. And I created it as an independent candidate, presidential candidacy for Iran for free Iran, which was again something, I think it was very, very important to start a movement as such because in the last four years; the whole nation, a whole population of Iran and the whole world that was connected to it, we’re all on the impression that it has to be only this person, only that person or the other person that were all well known linked to either communism or socialism or capitalism or this and that. And at the end of the day, not necessarily to the wellbeing of Iranians, for Iranians people, for for a free-minded Iranian person who loves to be free and loves freedom and who loves arts and culture and who loves everything that is beautiful on this planet, just like everyone else. So the nomination came about. I’m proud of it. In actuality, that would be on Instagram tomorrow an interview that I have with the folks in Iran. You know, it’s a young country about 70% of the country is under 30 years of age. So it would be a lot of youth of the nation that we would have on that interview tomorrow. They could relate and, and talk with me as well. I’m very emotional about it. I’m very hot and I’m very, very excited about it to see to analysis, uh, candidacy as well officially tomorrow on Instagram. I will invite you and everyone else was listening to this. If there is a chance, if they know how to get connected, just get connected tomorrow. Under Daryush Shokof there’s a specific channel that is doing this. I don’t have it right now in mind but I could send it to you and the people on Instagram, they could support. Daryush by the time people hear this that event, would have already occurred. That’s okay. Let’s announce your website here. Let me, let me go over a couple things. First of all Daryush Shokof your website and I’m going to spell it. D, D as in David, D a r y u. s h, that’s Daryush last name Shokof, S h o k o f.com daryrushhokof .com. Now if we go there and that’ll be in the show notes too somewhere. If we go there, will we be able to see your Instagram connection there on your website? No. No, unfortunately not because it is something that happened, you know, things are happening so quickly all over the world and specifically also in Iran. You see what’s happening in Venezuela. This just came in about two weeks ago and they approached me if I would do this and I was honored and with pleasure. I said absolutely immediately let’s do it. So no, it is not on the website, but it’s nice that you mentioned it and I do appreciate everyone’s support that you just mentioned it as well. You have it, but it is not a website. It would be distributed. And and what you have to say about that. Beautifully said. Yes, Daryush Shokof on Instagram. Okay, this is the Tony DUrso Show just ahead the chat continues with Daryush Shokof: $4 billion sculpture, but first it’s time for us to take a short break. See you back here in just a moment. Hey guys, how would you like to be a bestselling author or sell a product or service in high volume? These are just some examples of what you can do with click funnels. Get everything you need to market, sell and deliver your products and services online without having to rely on a tech team. And I just got you a free account. Check it out at tonydurso.com/click try it completely free and build your first funnel. You could a simple drag and drop webpage editor. You can quickly build sales funnels that convert. There’s a smart shopping cart with one click upsells. There’s email and Facebook marketing automation. In fact, you get everything organized into one simple dashboard. Try it completely for free at tonydurso.com/click, tonydurso.com/c l. i. c. k. And here’s to your amazing success. You’re listening to the Tony DUrso Show with key influencers. We’d love to hear from you via email. Be sure to send questions and comments to Tony at tonydurso.com. Now back to Tony and his guest. All right, back on the Tony DUrso show. Today’s show is with Daryush Shokof $4 billion sculpture. A quick recap so far, Daryush presents, a new conceptual artwork with four huge seesaws made of heavy metal with literally $4 billion in cash on each side of the seesaw. A mystery object is placed on each seesaw, on the other side, which he claims is more valuable and heavier than all of the cash. And now back to the chat with Daryush. Now going back to your auction, we have several announcements, several things happening. This is a very interesting interview. We were talking about things to come that are very important, world-changing. Do you know when you may run for president, is there a schedule or is there a plan or can you tell us more? Yes the best way to explain it. It is very similar to what is happening right now in Venzeula Rubio, just came in and said, here, here it is. But I don’t have that possibility, unfortunately, I’m not in Iran and I cannot, we’ve done this as an Iranian out of the country. expatriate and now I have the support to have a wonderful fellow country people that they are now putting this on the map. And because of the very important thing that happened about a week ago in a show on a TV on perhaps the most popular Iranian television channel out of Iran. You know Iran only has one television channel, like all the dictatorship, countries, North Korea or whatever, what have you. But this, this channel is in London based in London. It’s called Moto Channel and on that channel they had a wonderful piece generating a wonderful discussions by professionals who were giving professional and completely based on neutrality, grades to the performances of Iranian regime during the last 40 years in different fields, from politics to an economy and to culture and the human rights and all of that. And from 1 to 20, the regime in Iran did not even get one. It’s like less than one. And that voting system was perceived by over half a million people who voted illegally. And that means, with the terrible situation that we have in Iran that nobody can actually vote. And I mean, they, they have to go to terrible situations in order to be able to even vote or get connected to the Internet worldwide and all of that. But anyway, they did it and this is what came up with which in turn officially was an announcement that this regime is illegal. And from that point on, I was an issue. The people who were supporting me for the last four or five months became more serious about this and said, okay Daryush now it’s the time because legally, and I personally wrote letters to president Trump. And some of the other associates that look, this is now the timing. Pahlavi the son of the king is still according to the laws and regulations of that country is still a legal, lawful king. And he could return and I would be more than happy to work with him as a president of the country and less analysis. Let’s put this on the bed. Let’s just do this. Let’s put it on the map. That’s a start and then through that came this other interview possibility for tomorrow. They just put it together in about four days. And so then they let me know about the possibilities that they had that we could now get this going tomorrow. And it gets a really tremendous cover also from inside the country. So we see how it goes. And I would be more than delighted to share everything with you and everybody else around the world. Very interesting indeed. And there are other good candidates out there for a President for Iran.May I ask you humbly what makes you a very good candidate and a good leader for Iran why you? From what others predict or estimate or a belief is the record of what I have done and went through for the last, let’s say 35 years. I made a movie called Iran Zendan. Iran the prison, this movie by itself it was almost revolutionary because no one in the last 40 years ever, ever dared to make a film about what horrendous situations the political prisoners are going through in Iran. If film hit the Youtube in two/ three days went over 12 million clicks and then immediately was off youtube in the fourth or fifth day. It was a bizarre situation, but it was almost already too late. And ever since that thing happened, my name had a different meaning. It was not just the artists, it was just someone who would go through anything and any means by doing whatever he can for, for his people. And with no regards or no attention to what I could lose by doing this all the monies I could lose all the, uh, all the contracts, I would lose all the blockades that I would have been automatically and immediately on a world blacklist because of the power of this government in Iran. And unfortunately opportunistically speaking, because every country on earth worked with them. But I went through it and that’s not important right now to say what I have to go through by having done that. But it did bring attention to the people in Iran that there are people out there that really care about us, that do care about us and one of them is this guy that’s Daryush Shokof. Past that situation I am a director, I’m a film director. I have done really and a number of films that you know how films are made. It is extremely difficult to make a movie. Even when you have everything figured out. Everything is there, productions are there distributions are there You got the stars, you got the money on the table, not to make it. Now imagine that you don’t have any of that. You don’t have any funding available. You aren’t on the blacklist and you, do 17 films, feature films and I mean they’re not the worst that you have ever seen. Each one of them has been done because of the reason it’s not just to sell tickets. There are 17 films. That’s nothing to be ashamed of. What I’m trying to say is they saw what I, what I did, what I had as an asset in my hands and how I produce, how I used it with each film. If someone has nothing else, nothing better to do to just sit and watch one of the films, they’ll understand that this guy did something because he had a reason to do it. Not because it’s a movie about Jake falls in love with Holly and Holly’s already in love with Mike, none of that. The films are extremely, each one different than the other one and original in term of their own stories, whatever it is that they’re trying to say. So that was another important factor that this guy is a doer. I mean, when he says he does something, he does it. Number three years right now indirectly speaking and you know, for sure I’m a billionaire. I’m sitting in front of you with all due respect and honor that you have me on your show. I don’t owe any Iranians. I don’t owe anybody anything. And I could just, you know, I could just go out and have a lot of fun, which doesn’t mean that I don’t have it right now. I have a lot of fun. I have the greatest life that I could have ever imagined I could have. But for me, what’s really important, it’s what I have set forth to do to really bring freedom to country and a nation that deserves it, that deserves it. I mean, these are brilliant people, they’ve shown to the whole world that they are worthy of being connected to the best in the world. And they have shown even on the terrible situations that they have right now. How amazing they could adapt and how wonderfully they could adjust and they could help to make this planet a better place. I will gladly do and give everything for such a successful ending if that’s the last thing that I could ever do in my life. I had a great life. That’s all there was to it. So all of these things, you know, they know this guy doesn’t need the money. He’s not a socialist. He’s not capitalist is not, even though I am, I love capitalism. I love America, my country, my life, the oddity of this. Iran, I can never go back to it. And the USA and you know, I say it openly and right now, nobody dares because of the regime and whatever they’ve been working on brainwashing people give. You cannot find one person that says, I love America. Can you believe that you can wake up in the morning saying death to America, death to Israel? And now there comes a guy who says, if I’m elected, I would love for you guys to say love to America love specifically these two nations, these two countries, love to America, love Israel. Just look around and see what these two countries have done for the world and specifically could do for you. And I think honesty places really an important role. Why should they want me? What other things do I have? Daryush, the hallmark of a great leader is passion. And you have such passion to help your people and such a desire, so motivated, you have everything to lose. And your only desire, as I understand, is to just really helpful to people. Yes, you could just go off and enjoy yourself for the rest of your life, but I believe that would leave you totally unfulfilled as the artist that you are. And I totally love that passion and that drive. That’s what makes a good leader and I truly hope that things work out really well and work out the best for you because this is what the world needs. The world needs people who are passionate about doing things right and setting things straight. So really hope that you can live up to that and hope that it all works out for you and that we can say this, this would be a very good thing. My pleasure. And we have just one more minute. So I just want to ask you, one more important question. Regardless of the presidential candidacy nomination and how that plays out. Are you going to continue in art and films and if so, what does the future hold for you on that? Yes, of course. I called it sometimes my sickness. I came to this world, I guess my mission was to make films and the arts. That’s all there is to it. I will do that. And whatever happens to Iran, I just, that was my wish what I just explained. Yes the first film that I will have right after this, the auction is finished. It’s got Godhattan, which we will start perhaps the latest by 2020. And other works of art. I have 13… we have 10 commandments everyone knows it, but I have created the 13 commandments. 13 huge stones with 13 words on it that no one knows what these words are. I’m getting to like this about you. You’re going to create some art and nobody knows about it. But stay tuned I really liked that. And show flowers and that’s something new and they are also very unique so, these are the concepts that I have right now in front of me and I would love to share it with you. When I get to LA, I miss being there so the minute I get there I think we’ll get together and have a wonderful glass of water or whatever it is and we’ll go through this again. Thank you. And we are going to do this again because I want to update our audience on developments as they unfold. You’ve got so many things happening will definitely going to do some more interviews. And once again, this is Daryush Shokof, world renown artist, sculptor, an independent presidential candidate for Free Iran, and you can find him at daryushshokof.com I’m going to spell that again. D A R Y U S H S H O K O F.com. God bless you. God bless the USA. Thank you so much. Thank you for the honor of having this great interview. I can’t wait to find out more as things unfold. Thank you so much. Thank you, Tony. Have a great day you guys. And for my amazing audience, thanks so much for listening. Remember, success awaits who persevere and remained steadfast despite the odds be righteous. Join me on the next episode of the Tony DUrso Show. 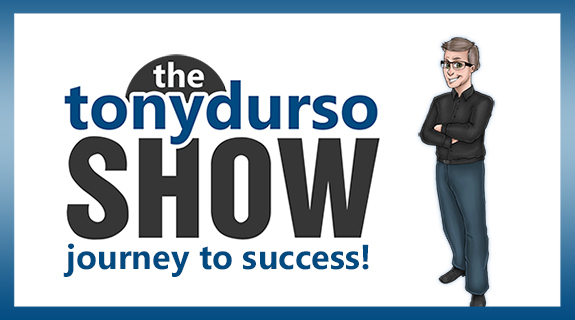 We hope you’ve enjoyed this week’s edition of a Tony DUrso Show with his key influencers. Be sure to tune in again next Friday at 4PM eastern time, 1PM Pacific time on the Voice America Influencer’s Channel. City Gala Red Carpet Interviews with Wesley Snipes, Frank Shankwitz and more!